We are currently in hunting season, which means we are currently in venison season! A good, thick venison steak is one of the best types of meat there is. However, grilling venison does take a bit of practice and skill to get really amazing results. Here are our tips for turning that deer into an amazing meal. The best steaks from a deer are tenderloins and backstrap. These are basically the ribeye and filet mignon of deer. These cuts are especially lean, which is the common tendency of venison. The best part about the cuts we mentioned above is that they are tender and relatively free of sinew (the part that makes meat chewy). The best plan is to grill the whole thing, and then slice it once it is done. The exception being an animal too large to cook at once. If you have a butcher take care of sectioning your deer, then you should have them cut the steaks at least 1-1 ½ inch thick. If the steaks are cut too thinly, they will prove difficult to cook tenderly. If you are using a cut of meat from the animal’s leg, the connective tissue will often contract quicker than the meat, which will cause the meat to curl as it grills. To avoid this, take a knife and make a few slices in the outer layer to keep the steak flat. Every type of grill has its cheerleaders, but most people would agree that charcoal or pellet grills will give the venison the best flavor. This is because the grill and the smoke will add extra flavor. If you’re in search of a steak whose flavor is unaffected by the grill or cooking agents, gas grills will work. Gas grills also allow for more precise heat management. Talk to our grill experts if you aren’t sure what grill will best fit your needs. It is up to you if you would like to add a brine or marinade to your venison. 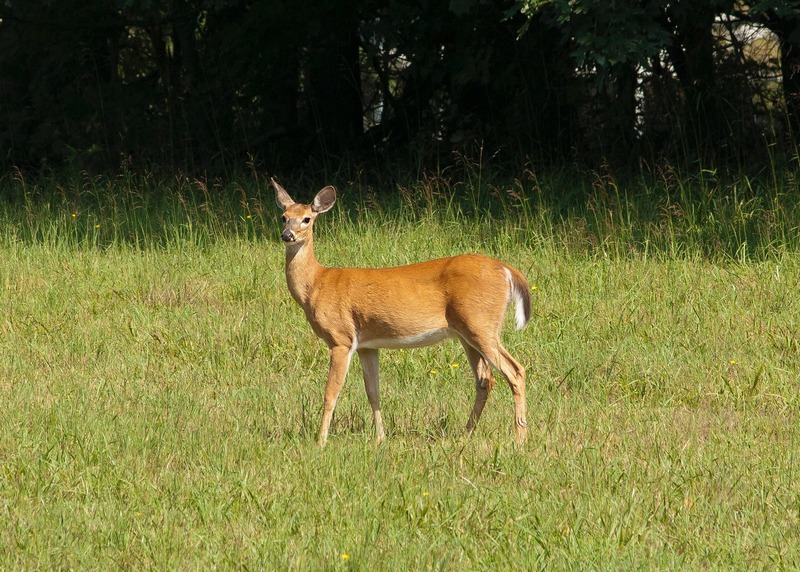 A deer with a diet rich in corn or alfalfa might not need any flavoring added. If you are cooking an older deer, the meat will likely be tougher. Marinading the meat before cooking will help break down the tough fibers, and result in a much more enjoyable steak. No matter the marinade or rub choice, all venison steaks should be grilled using the same method. Let meat get to room temperature before grilling. Place meat directly over heat, unless you are dealing with an especially thick cut. In which case, you might want to cook slightly slower to ensure more even heating. Only flip the meat once, if at all possible. We like to get grill marks on one side before flipping. Once the steak is fully cooked, let it rest for 5-10 minutes. And there you go! You can add seasoning after it is done grilling if you would like, but it isn’t necessary. For venison-friendly rubs, accessories, or grills, check out our online store!